Orly Magnifique Brightening Top Coat, .60 fl. oz. 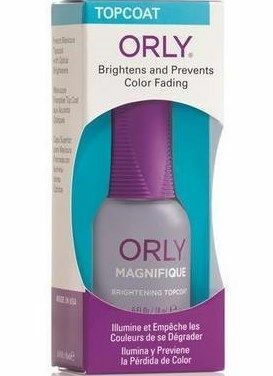 Brightens and protects french manicures and nail colors from fading. Contains UV filters and optical brighteners, leaves a durable and high shine finish on nails.